Honeybees make decisions collectively-and democratically. Every year, faced with the life-or-death problem of choosing and traveling to a new home, honeybees stake everything on a process that includes collective fact-finding, vigorous debate, and consensus building. In fact, as world-renowned animal behaviorist Thomas Seeley reveals, these incredible insects have much to teach us when it comes to collective wisdom and effective decision making. 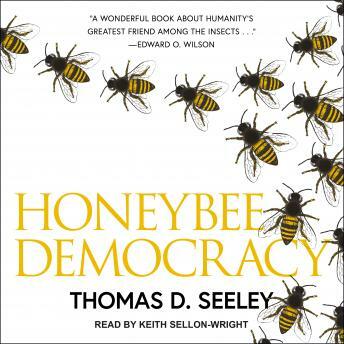 A remarkable account of scientific discovery, Honeybee Democracy brings together, for the first time, decades of Seeley's pioneering research to tell the amazing story of house hunting and democratic debate among the honeybees.